This recipe is so easy to throw together – even on those nights when you really don’t feel like cooking (!!!) – and just bursts with healthy, fresh flavor. We like to pair it with brown rice and salad for a light yet hearty supper. I think couscous or quinoa would also pair wonderfully with this flavorful fish. Dont forget very important ingredient in the list above: THE COD. 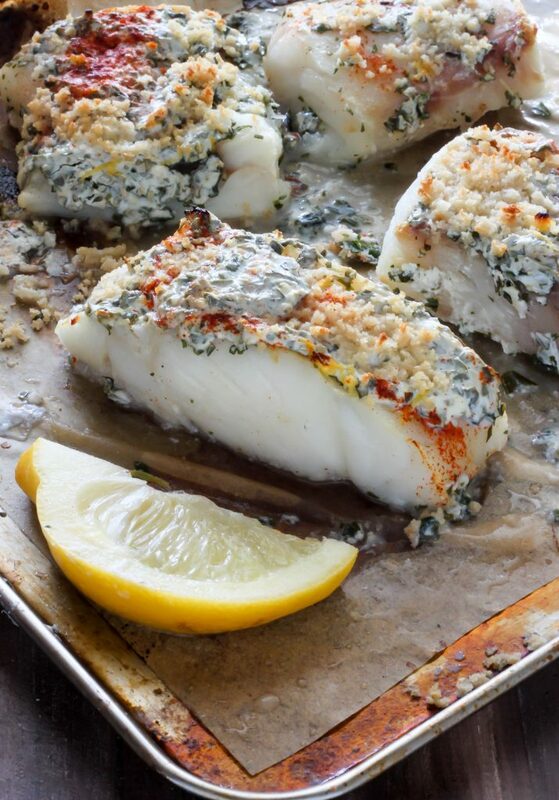 I used Alaska frozen cod for this recipe which I easily swiped up at our local grocery store. I love fresh fish, but frozen fish can be seriously convenient! I also loved that our cod was already cut into fillets, making my job even easier. 0 Response to "20 Minute Lemon, Garlic, and Herb Baked Cod"